Congratulations! You are engaged and all of a sudden you are taking on the exciting (and sometimes daunting) task of finding the perfect venue for your big day. Lucky for you, Colorado is full of gorgeous wedding venues fit for every type of couple. In this blog series, we will be featuring some of our absolute favorite Colorado wedding venues from the stunning Front Range all the way to the heart of the Rocky Mountains. We have been so fortunate to plan some amazing weddings and events at these spots and can’t wait for our 2019 season! Many of our clients find that the mountains are the perfect destination spot and love bringing their guests to the beauty of the Rockies for their wedding weekend. We love mountain weddings, too, and are thrilled to show you some of our top mountain venues! Why We Love Larkspur: “Our award-winning restaurant is situated in Vail at the base of Golden Peak, and the views don’t get much better. In the winter and early spring, the snowy slopes of Vail Mountain are literally steps away from our patio. From late spring through fall, Larkspur’s lush, green event lawn is surrounded by Aspen groves and stunning views of the majestic Gore Range.” They have both indoor, outdoor patio, and outdoor lawn options, so it is perfect for a reception, ceremony, or both! We loved this photo from Abby + Connor’s reception and look forward to a couple more at the Larkspur in 2019! 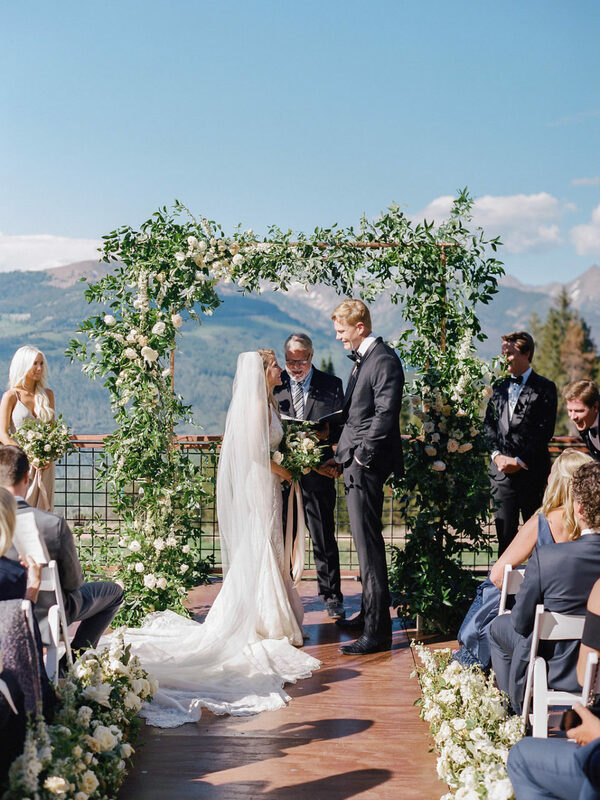 Why We Love The 10th: This one of a kind venue is an iconic Vail wedding site. With high-quality service and breathtaking views, you can’t go wrong with The 10th for your big day! The restaurant looks over the Gore Range at Vail mid-mountain, they serve regularly during the ski season and are open for weddings and private events in the summer. We loved working here for Abby + Connor’s big day this past summer! Why We Love Beano’s Cabin: Beano’s Cabin in Beaver Creek is one of our absolute favorites. The cabin is nestled on the mountain with a beautiful interior and equally stunning views of the mountain. Beaver Creek is the perfect destination with plenty of delicious restaurants, scenic hikes and adventurous activities! One of our all-time favorite weddings was at Beano’s – check it out! Why We Love Zach’s Cabin: “Perched on the mountainside high above Bachelor Gulch with the uninterrupted views of the magnificent Gore Range, Zach’s is the epitome of fine dining at its peak. Guests are whisked away for a starlit sleigh ride, pulled by a Beaver Creek Snow Cat. Famous for its artful assemblage of fresh Rocky Mountain fare featuring the finest regional and seasonal ingredients paired with excellent vintages for the perfect dinner experience.” We are thrilled to be planning Mackenzie + Tom’s winter wedding at Zach’s this year! Why We Love The St. Regis Aspen: Located at the base of Aspen mountain, The St. Regis will provide your guests with the ultimate “Aspen” experience. A St. Regis wedding means luxury, comfort and unforgettable memories. Just steps away from the slopes and the amazing bars and restaurants of Aspen, the location of the St. Regis could not be more ideal. Check out some of our past weddings at the St. Regis here and here. Why We Love The Little Nell: The Little Nell is the epitome of luxury and getting married here would be an unforgettable experience. Looking for epic views? “The experience waiting for you as you step off Aspen’s Silver Queen Gondola may be reason enough to exchange vows. Floating three miles above the town of Aspen but just steps from The Little Nell, our Wedding Deck is a venue unlike anything else in Colorado. At an elevation of 11,212 feet, with sweeping views of the Elk Mountain Range, it doesn’t get much more romantic. Add a little chilled champagne for up to 250 guests on the manicured terrace, and any union is truly blessed.” We love The Little Nell and can’t wait for our next wedding there! 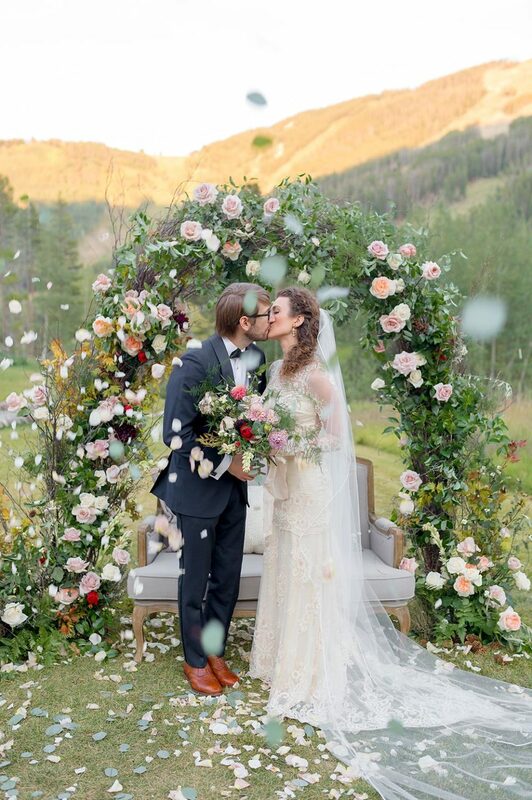 Why We Love The Roaring Fork Club: This private club in the cozy town of Basalt right outside of Aspen is the perfect venue for a picturesque wedding. “Whether it’s a destination group event, wedding or small intimate gathering, the Roaring Fork Club offers the idyllic Rocky Mountain experience with an upscale flair. The Club offers all of your destination event needs – lodging, banquet services and a variety of venues for any occasion.” It truly is spectacular! Why We Love Hotel Jerome: “Located in the heart of Aspen with a unique blend of contemporary luxury and historic heritage, deluxe Aspen Resort accommodations, superb amenities, genuine hospitality and dedicated service for an elevated experience in the Rocky Mountains. 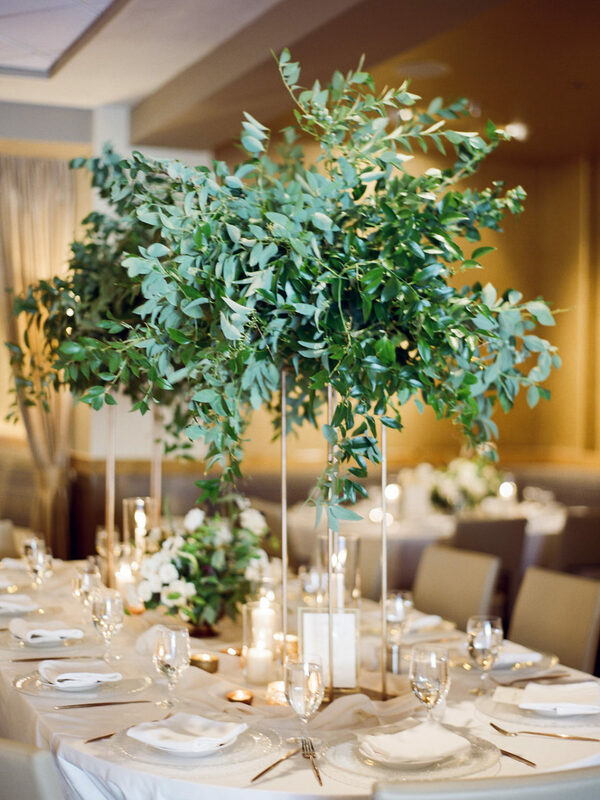 With stunning views of Aspen Mountain and affording convenient access to downtown, the Hotel Jerome featuring Aspen’s only above-ground ballroom is the ideal event venue for an effortlessly elegant wedding or special event.” View photos from one of our Hotel Jerome weddings here! Why We Love T Lazy 7: “T-Lazy-7 Ranch is home to three of Aspen’s premier event venues. You can customize your own a twinkle-lit tented reception in the stunning T-Lazy-7 Meadow, or pair a Meadow ceremony with the elegant T-Lazy-7 Event Lodge for the reception dinner and dancing. If you’re looking for a more authentic hoe-down experience, cozy around the campfire at our covered outdoor facility known as the Chuckwagon Grounds. T-Lazy-7 Ranch is a spectacular setting for any event and is surrounded by National Forest and Wilderness for stunning photo backdrops.” We love this place! Why We Love Dunton Hot Springs: Right outside of Telluride, nestled in the San Juan Mountains this up to date ghost town is a Calluna favorite. This intimate property includes hand built log cabins and luxury glamping. Dunton offers a variety of activities around the property, and we can guarantee this will be an experience your guests will never forget. Check out Meshach and Warren’s Dunton Hot Spring’s wedding here! Why We Love Flying Diamond Ranch: This ranch right outside of Steamboat Springs is truly magical. The views are spectacular and the land is vast. Perfect for any nature lover, Flying Diamond is a beautiful blank canvas. “Picturesque aspen groves and open fields framed by forests and mountains with sweeping, majestic views of the Steamboat Ski Area create a stunning space to host magical and very private Colorado weddings, parties, and events.” We are so excited for Brenna + Jeff’s wedding there this summer! Why We Love Devils Thumb Ranch: The Calluna team adores Devil’s Thumb, and we are thrilled to have several weddings there again this summer and fall! “Weddings at Devil’s Thumb leave a lasting impression for brides, grooms, and their guests through forever moments captured against our breathtaking backdrops. Let us bring your unique vision to life with customizable menu options comprised of fresh, local cuisine, eloquent ceremony sites that fit your personal style, and special touches that deliver the kinds of perfect moments this special day deserves.” Take a look at some of our past Devil’s Thumb weddings here. Why We Love The Broadmoor Hotel: “Weddings at The Broadmoor are truly a signature event. Our historic resort features a variety of enchanting venues that can accommodate receptions and ceremonies from 20 to over 1,000 guests, including the availability of the historic Pauline Memorial Chapel immediately adjacent to The Broadmoor.” We can’t wait for Annie + Jared’s big day at The Broadmoor this fall! Why We Love Cloud Camp: “The secluded setting and all-inclusive nature of Cloud Camp makes it an ideal choice for corporate retreats and groups looking to reconnect among the beauty of Colorado’s lush wilderness. Escape day-to-day routines and define a new vision in a truly inspiring setting where all of your lodging, meals, and activities are included. Arrange a fun-filled family reunion, or celebrate your wedding high above the rest of the world. Cloud Camp is perfect for anyone looking for incomparable group experience.” We hope to have a Cloud Camp wedding soon, as it is absolutely beautiful! 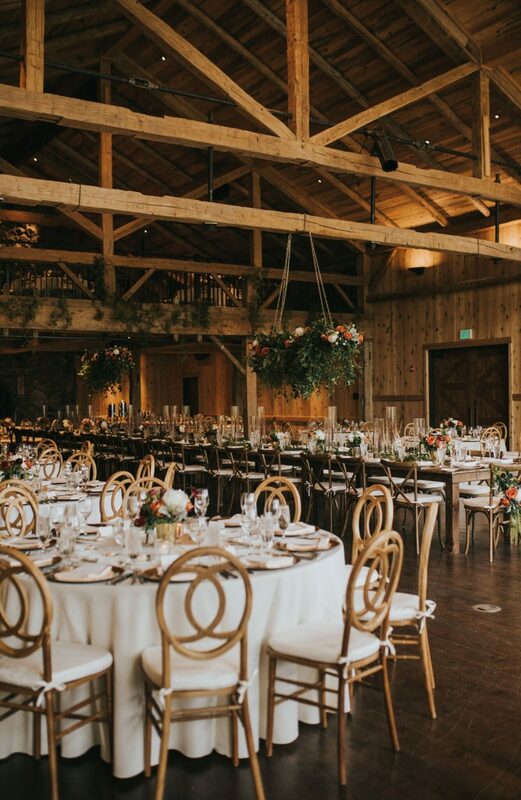 Why We Love Spruce Mountain Ranch: “A perfect blend of rustic elegance, Spruce Mountain Ranch is a 450 acre premier mountain venue conveniently located just outside of Denver. Spruce Mountain Ranch features two separate properties located over a mile apart, each offering magnificent hand crafted detail and state of the art conveniences. The design and setting of the ranch makes Spruce Mountain a breathtaking backdrop for any wedding or event.” We loved Bri + Matt’s cozy wedding there this past fall!